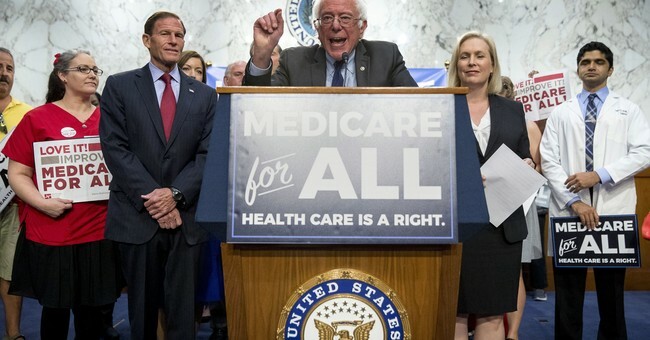 In a recent USATODAY editorial, President Trump criticized a move by some Democrats promising “Medicare for All,” essentially a nationalized health care system that would have the effect of transferring funds owed to senior citizens to those more likely to vote for the party’s candidates in the upcoming election. In the same article, he opposed Democrat’s drift towards socialism. Trump’s support of older voters is understandable. Seniors have supported Republicans over Democrats, for fairly solid economic reasons. They have been adversely affected as Democrats diverted federal funds to questionable uses, including an $800 billion “stimulus” package that failed to improve the economy, and to pay for expenses of a growing illegal alien presence encouraged by lax border controls. As America’s national debt soared above the $20 trillion mark during the Obama Administration, the Social Security and Medicare programs continued to decline. Social Security will face virtual bankruptcy by 2034. Medicare will endure the same fate by 2030. But those future dates were not the extent of the problem. During the Obama Administration, seniors suffered from an unprecedented lack of cost of living increases. Since the regular program of Cost of Living increases began in 1975, (prior to that increases were provided by legislation) there has never been a period when such adjustments were lower than they were under President Obama’s term. Not once had there been a year in which there was no increase at all. Since 2009, when Obama took office, two consecutive years, 2009 and 2010, provided no adjustments, and there was also no adjustment in 2015. Before 2009, the average annual increase was 4.4%; during the Obama presidency, it was 1.7%.It’s not just Social Security problems that affected America’s seniors. Mr. Trump expanded his critique to include the entire range of left-wing proposals to swing the United States to a more socialist-based economy. As the Democrat National Committee leadership, especially chair Tom Perez and vice chair Keith Ellison, and rising figures such as Florida’s gubernatorial candidate Andrew Gillum and of course Bernie Sanders continue to push their party leftward, insufficient attention has been paid to how the socialist policies they have advocated have led to economic misery and political totalitarianism in just about every instance where they have been implemented. As the U.S. economy, following the Trump move towards capitalist ideals such as lower taxes and decreased regulations rebounds, citizens of socialist nations such as Venezuela and North Korea face terrible deprivation and oppression. Even the remaining Communist giant, China, has seen fit to utilize a basically capitalist-style economy to fuel its prosperity. Inevitably, defenders of socialism point to several European nations as examples of how a “soft” form of socialism can avoid disaster. But look deeper. Those nations depend on capitalist America to survive. The U.S. taxpayer pays for the lion’s share of their defense, and their economies would crash if they were not able to sell to American consumers. The same can be said, by the way, for China. There has been insufficient attention paid to the unrealistic nature of the unaffordable proposals advocated by the progressive left. It’s great politics to promise free stuff for all (free tuition! Free college! Free entry for anyone who wants to cross the border into the U.S.!) It’s fairly similar to the illusion that you can use your credit card to buy things you simply can’t afford. Fun for a while, but eventually the bill comes due.